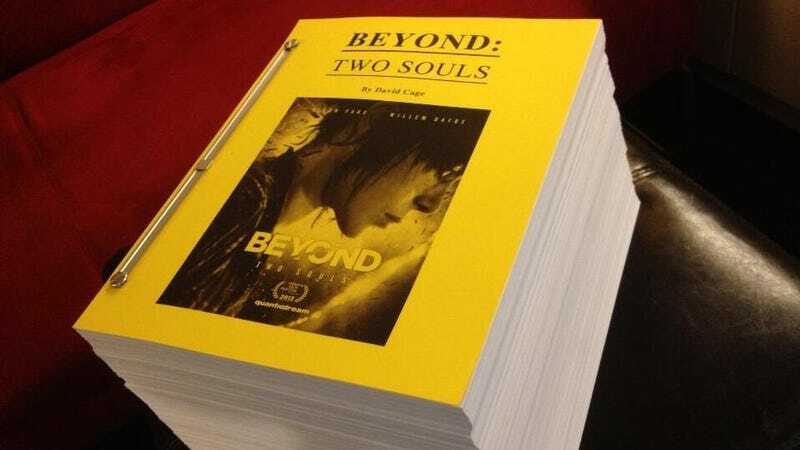 CNET editor Dan Ackerman shared this picture of the Beyond: Two Souls script today. It's 2,000 blank pages. The representation of the conglomeration of all the spoken dialogue for Quantic Dream’s upcoming playable drama looks bigger than a stack of PS3s. And not the new Super Slim PS3s. I’m talking the original husky models. Sony probably sent out the script because its upcoming game will be featured at the Tribeca Film Festival. I’ve often heard game scripts as being described as more like spreadsheets, since they have branching dialogue and different spoken prompts. That may be the case but, still and all, that is one huge ream of paper.